Tor Launches Bug Bounty Program — Get Paid for Hacking! With the growing number of cyber attacks and breaches, a significant number of companies and organisations have started Bug Bounty programs for encouraging hackers, bug hunters and researchers to find and responsibly report bugs in their services and get rewarded. Following major companies and organisations, the non-profit group behind Tor Project – the largest online anonymity network that allows people to hide their real identity online – has finally launched a "Bug Bounty Program." The Tor Project announced on Thursday that it joined hands with HackerOne to start a public bug bounty program to encourage hackers and security researchers to find and privately report vulnerabilities that could compromise the anonymity network. HackerOne is a bug bounty startup that operates bug bounty programs for companies including Yahoo, Twitter, Slack, Dropbox, Uber, General Motors – and even the United States Department of Defense for Hack the Pentagon initiative. Bug bounty programs are cash rewards gave by companies or organisations to white hat hackers and researchers who hunt for serious security vulnerabilities in their website or products and then responsibly disclose them. 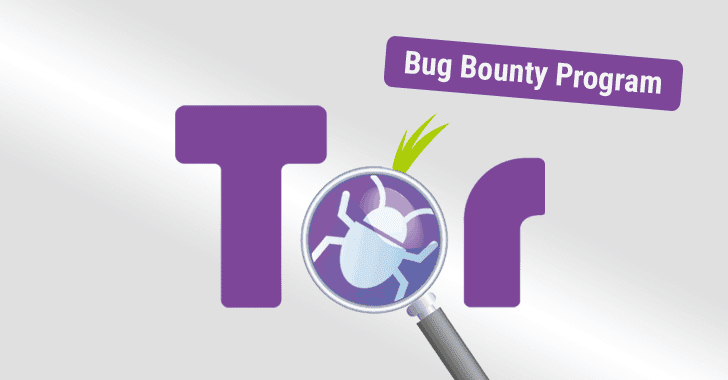 The Tor Project announced its intention to launch a public bug bounty program in late December 2015 during a talk by the Tor Project at Chaos Communication Congress (CCC) held in Hamburg, Germany. However, it launched the invite-only bounty program last year. The highest payout for the flaws has been kept $4,000 — bug hunters can earn between $2,000 and $4,000 for High severity vulnerabilities, between $500 and $2,000 for Medium severity vulnerabilities, and a minimum of $100 for Low severity bugs. Moreover, less severe issues will be rewarded with a t-shirt, stickers and a mention in Tor's hall of fame. "Tor users around the globe, including human rights defenders, activists, lawyers, and researchers, rely on the safety and security of our software to be anonymous online," Tor browser developer Georg Koppen said in a blog post. "Help us protect them and keep them safe from surveillance, tracking, and attacks." The Tor Project is a non-profit organisation behind the Tor anonymizing network that allows any online user to browse the Internet without the fear of being tracked. The Project first announced its plan to launch the bug bounty program weeks after it accused the FBI of paying the researchers of Carnegie Mellon University (CMU) at least $1 Million to help them Unmask Tor users and reveal their IP addresses, though FBI denies the claims.